Not being able to get your garage door to go up or down can be an issue. Fortunately, there are some simple repairs you can do on your own. Keep your door working properly this winter and all throughout the year with these helpful hints. It’s a good idea to test your garage door regularly for balancing issues. You can do this by disconnecting it and operating it manually. The door should stay halfway up without falling down. If it goes up or down quickly, you have a balancing issue that needs to be fixed by a professional. Keep the door operating smoothly by lubricating the hinges, rollers and bearings. Just make sure you use the right type of grease, or you could make things worse. Vacuum the tracks to remove debris that can cause the rollers to get stuck. Keep the spring lubricated so it doesn’t jam up the system. If your system uses a chain, make sure it is greased. Check the screws and bolts to ensure they are tight. Check the sensors to ensure that the door will stop when there is an object in the way. Check the cables to ensure they are not frayed. Change the batteries in the garage door opener often. Many newer garage doors shut down often, but are equipped with diagnostic lights and codes to let you know what error your door is experiencing. Get to know your system so you can pinpoint the problem easily. 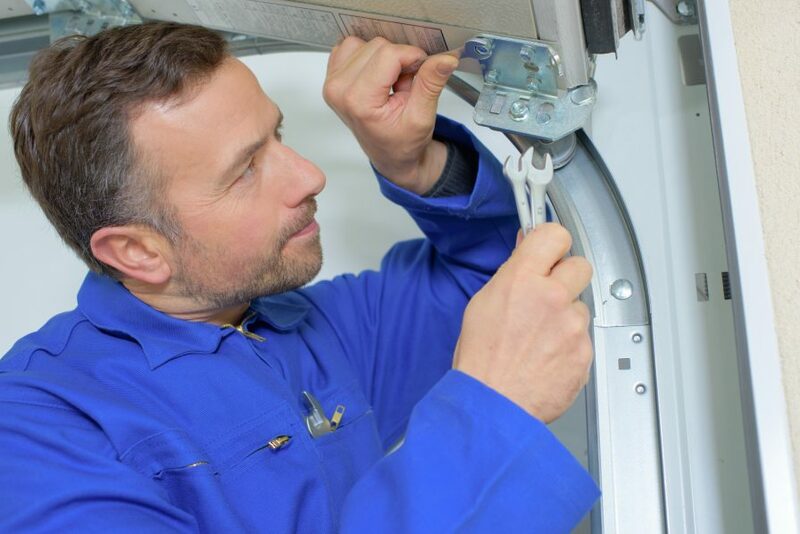 While you might be able to fix some issues on your own, some garage door problems require the assistance of a professional. If you hear scraping and grinding sounds, you may have a problem with the motor or gears. A professional can help identify the problem. Now that it’s winter time, you may find that your garage door is not moving as smoothly as it did in the summer. By adjusting the force of the motor, you can get the door to move more easily. It just takes a short visit from a garage door professional. Whether you require maintenance for your garage door, are in need of a repair or are looking to upgrade, the team at Affordable Garage Door, Inc. can help you achieve your goals. We have many styles to choose from. We have been providing Northwest Indiana residents with quality garage door products and services for more than 30 years. Contact Affordable Garage Door, Inc. today at (219) 696-4279 for a free estimate.